Vogue Hommes International is a magazine that reflects on modern luxury. Published twice a year, it explores new talent, identifies upcoming trends and decodes the latest fashion style. 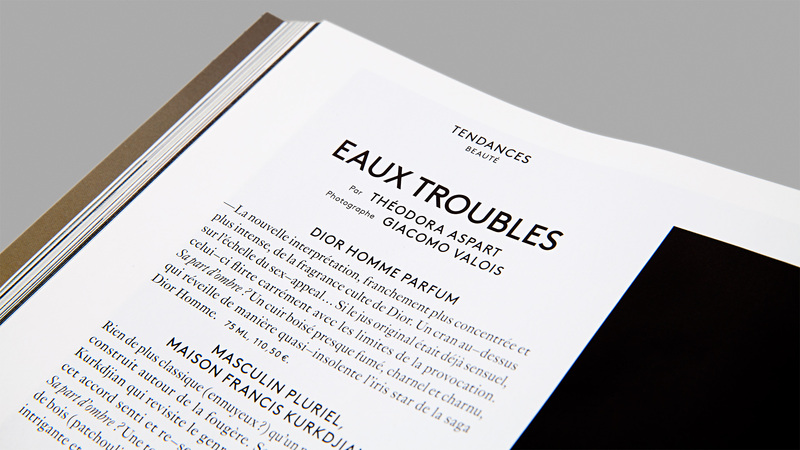 In 2013 the magazine was redesigned by Patrick Roppel, who brought in Aurèle Sack typographic consultant. Several typefaces by Sack were used in the redesign: LL Brown Medium, LL Brown Light and AS Turquoise. 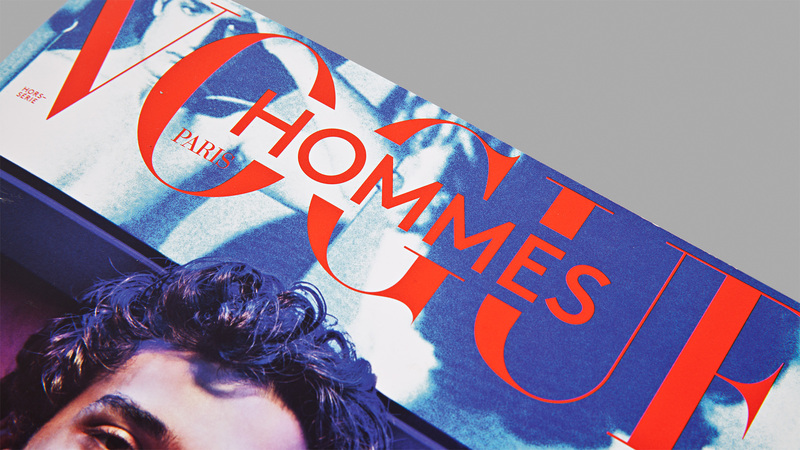 Since issue number 20, the new logotype of Vogue Hommes also uses LL Brown.